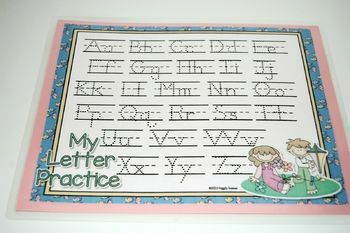 My handwriting practice mats are a fun and educational way to encourage handwriting skills. 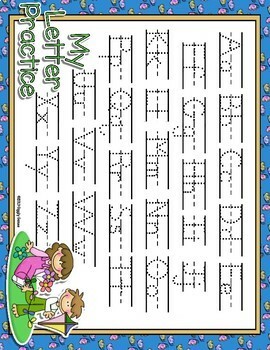 The mats are 8.5 x 11 and include both the upper and lowercase letters for tracing. The letters are crisp and clear on the paper for easy tracing. I make it a point to use colorful graphics and patterns on each mat to attract and keep the attention of the child.